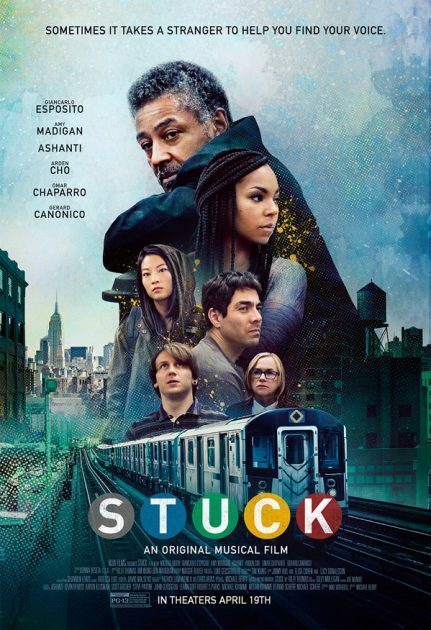 Check out the trailer for this highly anticipated Eammon Films “Stuck”. Look for the musical film written and directed by Michael Berry which stars Ashanti, Giancarlo Esposito, Amy Madigan, Omar Chaparro, Arden Cho & Gerard Canonico to hit theaters on April 19th. An original pop musical film about six commuters who get stuck together on a New York City subway. Through the power of music, they learn about each other’s lives and, in turn, have a profound effect on one another. Connecting across lines of race, culture and class in a way that only situations of circumstance or happenstance can create, this will be a day that none of them will ever forget.